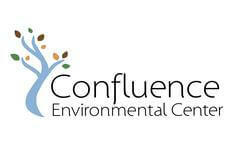 Confluence Environmental Center’s mission is to bring streams of thought, action and people together to make the environmental movement more robust, inclusive and effective. The Confluence AmeriCorps Program advances environmental justice issues by creating greater access to resource conservation initiatives, healthy watersheds, gardens and farms, parks and green-spaces, healthy homes and livable communities. Each year, Confluence partners with leaders from community-based organizations, schools and government agencies who are dedicated to advancing equity and inclusion. Confluence AmeriCorps Members are then placed with these organizations to execute various, life changing projects which build leadership while driving the organization’s capacity to reach a more racially and socially diverse audience. 80% of the AmeriCorps Members time (32 hours per week) is dedicated to their service project and 20% of their time (8 hours per/week) is dedicated to Confluence's Leadership Program consisting of trainings, monthly meetings, service days and an independent CAP project. Member may also use this time to advance professional and educational goals and skills.